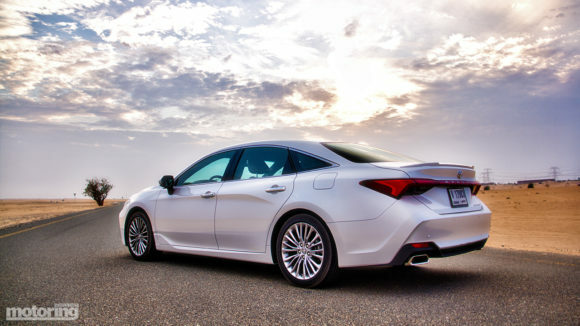 This is the all-new fifth-generation Toyota Avalon. 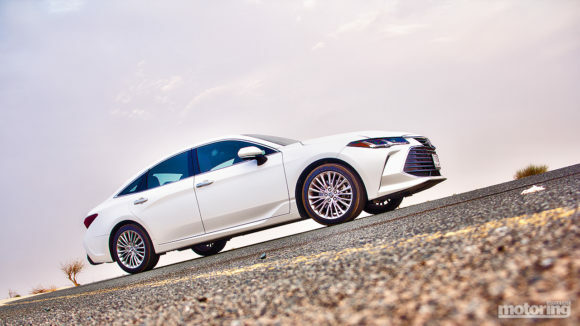 It’s not directly based on the Camry, but rather on the Lexus ES which is slightly longer. 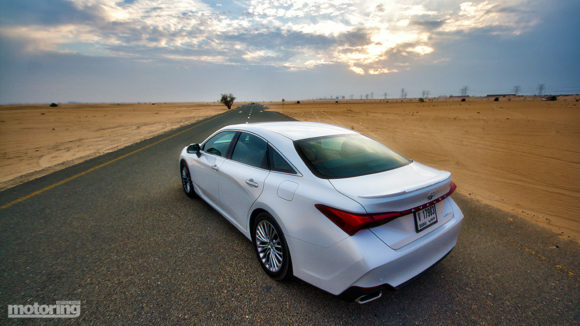 The Avalon actually replaced the Cressida which ruled in Japanese saloons in the region right up to the early 90s. But why the name Avalon? 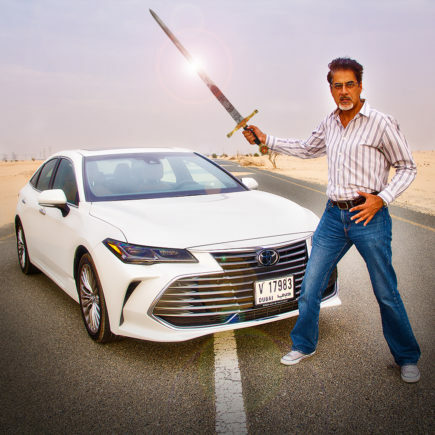 Toyota has a tradition of naming their saloons after some aspect of royalty and Avalon is the mythical island in the legends of King Arthur where the fabled sword, Excalibur, was forged. 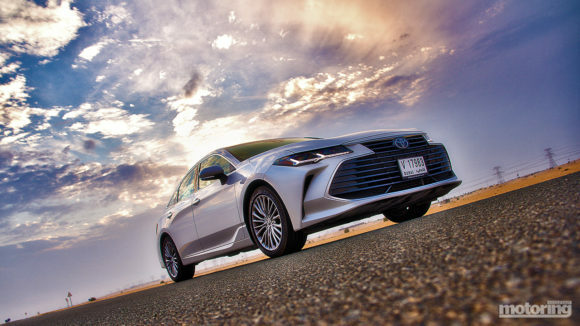 So does that mean the new front-wheel drive Avalon is a bit of a weapon? 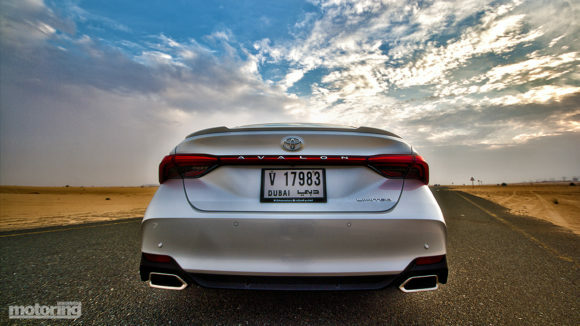 Well it has the familiar 3.5-litre V6 that also sits in the ES and also range-topping Camrys. It puts out about 300bhp through an 8-speed auto. 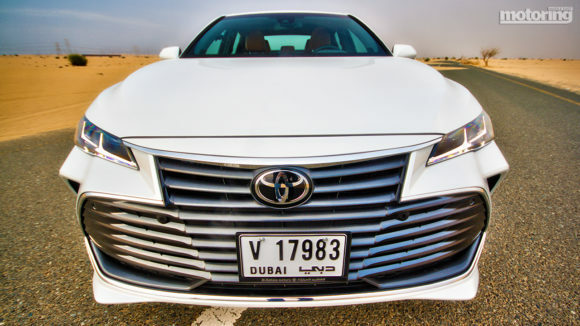 It’s priced from AED144,900 ($40k) for the SE+ and AED164,900 ($45k) for the limited grade. 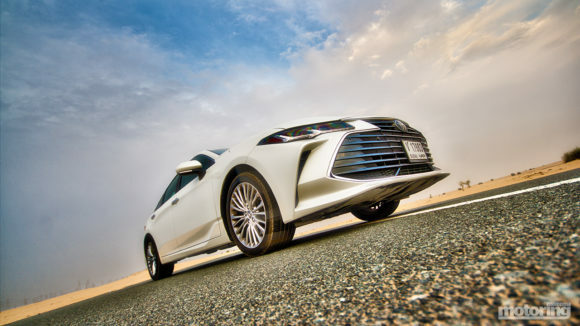 Just for comparison the Lexus ES ranges from AED195,000 to AED245,000 – see my review of that car here. 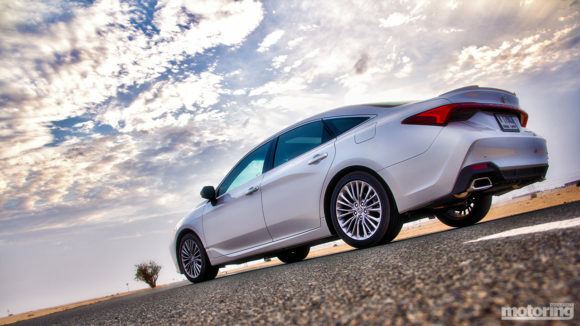 And Camry reviews can be found here. 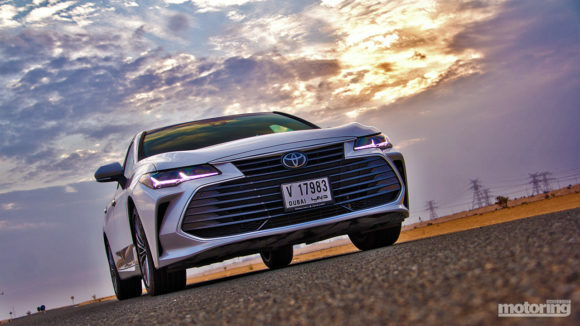 One of the most prominent and obvious visual features of the Avalon is obviously its front grille – Toyota was keen to distinguish the car and make it stand apart from both its relatives. The sharp lines continue into the sides and supposedly converge into afterburner motifs at the rear. Inside though it really raises the game with a quality crafted interior and packed with equipment. 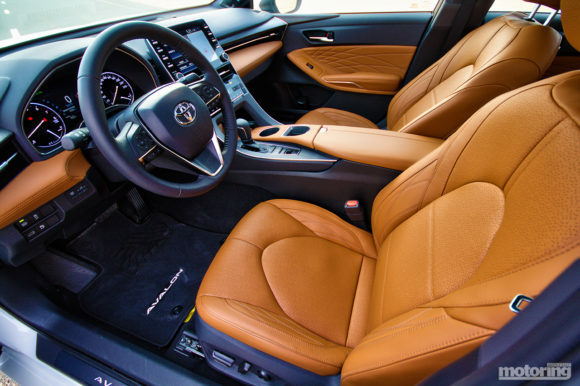 And of course high levels of comfort and space both front and rear. 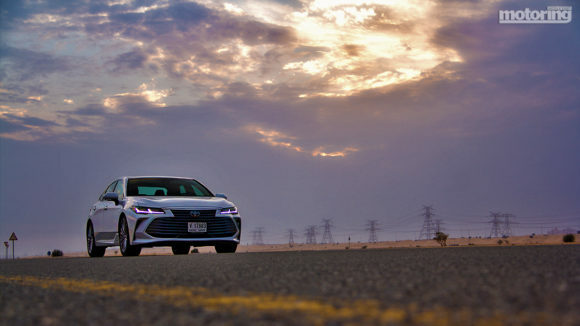 To drive it’s keener and a little more enjoyable to drive than it’s ever been, with great performance and larger brakes and of course good body composure both on motorways and whilst cornering. 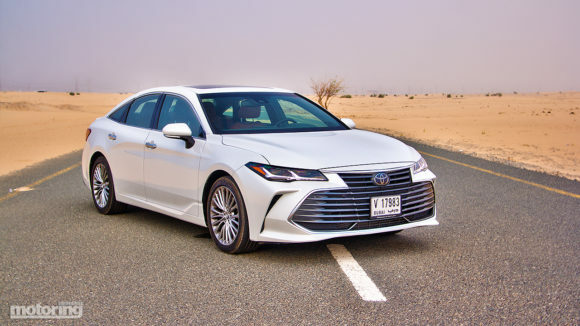 Frankly if you really want to step up from a Camry and need a little more space, previously you might have thought to trade up to the entry-level Lexus saloon, but now the flagship Toyota four-door will stop you exiting the showroom and grab your attention big time. It’s a logical and practical choice giving good feel-good factor and more than enough boot space to store Excalibur.